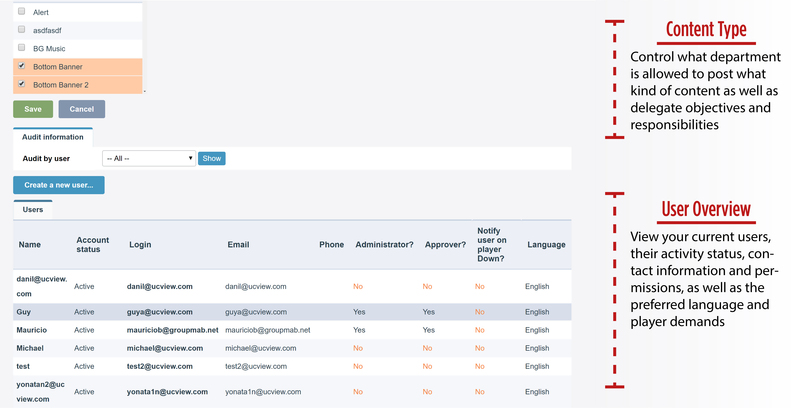 Departments and Users allows for you to edit your account settings, create additional users and departments, and assign permissions for one or multiple approves. For added security, the Department and Users module enables for you to activate security settings, such as number of login attempts and arrange content approval within each department. In addition, you could utilize the audit trail feature which provides a detailed history of content that was released and by whom along with the time and date. This feature enables for optimal administration of your digital signage network.